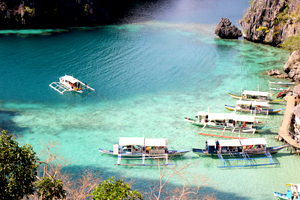 Palawan ... El Nido you've heard about them now go there! Is it difficult to get to El Nido? Well it is not the easiest place to get to, but if it was it wouldnt be worth it! First you need a flight to Puerto Princesa, there are flights from Manila and Cebu, look out for promo fares. 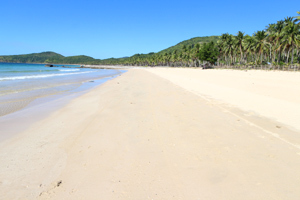 The flight is only one hour, the important thing is to arrive in Puerto before midday, as you dont want to spend any time in Puerto Princesa which is just the arrival place in Palawan. There are three ways to get to El Nido. 2/ Minibus transfer. 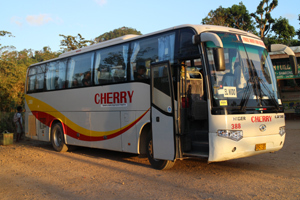 Depart either from the airport or from the bus depot in Puerto. On the bus all excited ... now where do you go? 1/ El Nido town proper. Stretched around a sandy bay with accommodation, dive shops, bars and restaurants is the town proper, right in the heart of the action easy to walk everywhere. Up the hill from the town also along a stretch of beach is the other part of El Nido, accommodation is cheaper. 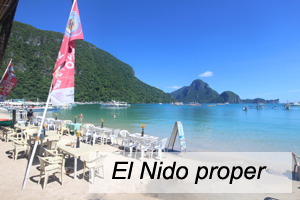 So which part of El Nido is the best to stay in? Accommodation in El Nido town proper is more expensive but you are right on top of everything you could need, so you can walk everywhere. There is accommodation right on the beach and on the streets behind. 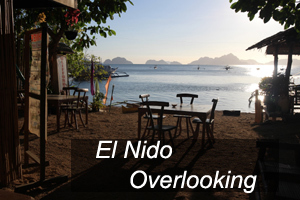 El Nido Overlook has the advantage of being a quieter location and offering cheaper accommodation, you do need to walk into town (10 minutes) but it does have its own bars and restaurants. Now you have arrived chosen your place to stay, what now? Relax, active, drink, dive, eat? 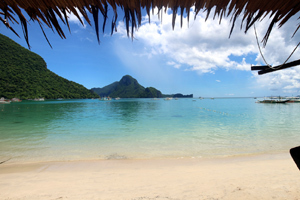 Well there is lots to do in and around the little village of El Nido. Restaurants, bars, cafes line the beachfront and in the town. Activity centres offer diving, island hopping and day trips to nearby beaches. Climb the hill behind the town for views over the bay. Chill on the beach and relax. North of el Nido along the tar road is Nacpan beach a secret that is slowly getting discovered, but if you like long white sandy beaches with very few people in sight then this is the place for you. To get there rent a bike, hire a trike or take the jeepney from the bus station. There are a few food stalls along the beach and very little else, pack some food and drink and stroll just a few minutes along the beach for your own private picnic. 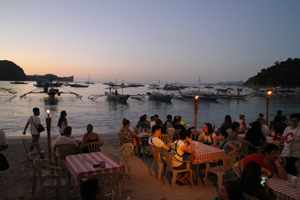 Most of the restaurants along El Nido beachfront spill out onto the beach, enjoy the sand under your feet with the water only inches away from your table. Live music is wafting along the beach from several of the bars adds to the atmosphere. 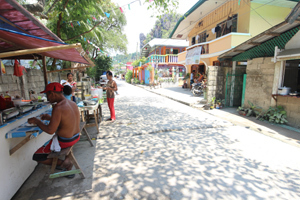 Stroll the busy streets of El Nido and do some shopping. The streets are very quiet and the shops sell souvineers, clothes and island hopping trips, but is quite pleasant to take a look around and see if anything takes your fancy. Feel like a nature walk with a swim under waterfalls at the end? 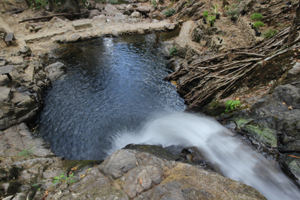 Halfway between El Nido and Nacpan beach is a lovely forest walk alongside a river that caomes from the waterfall at the end where you can go for a refreshing dip, remeber to take water, something to swim in and a towel. 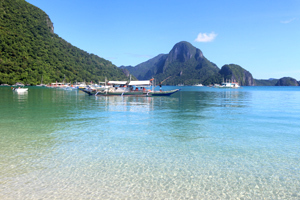 Looking for another special place to visit in Palawan? Then how about going on to Coron? 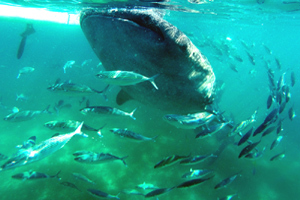 Or how about swimming with a whaleshark?